Thomson Reuters delivers the intelligence, technology, and human expertise you need to find trusted answers to your company's tax reform questions, so you can manage through uncertainty with confidence. With the most complete tax reform capability on the market, you'll find everything your corporate tax department needs to get fast, accurate answers and insights. Integrate your existing tools with our powerful solutions to research, model, plan, and automate calculations for the new Tax Cuts and Jobs Act (TCJA) requirements. Check out what Thomson Reuters is doing to help you respond to tax reform. 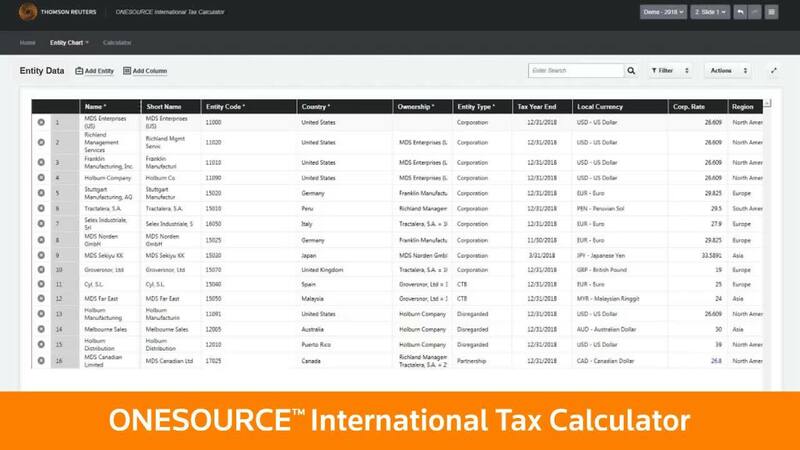 ONESOURCE International Tax Calculator will automate the calculation of U.S. tax on foreign source income for the tax provision process with templates for Subpart F income, Section 956 inclusions, and the US Foreign Tax Credit, as well as the new regulations for Section 965, GILTI, BEAT, and FDII. With robust planning capabilities for actual and "what-if" cash repatriation and potential organizational structure changes, you can ensure your tax department is making the best value-added decisions. To simplify your processes even further, we’ve integrated the International Tax Calculator with both ONESOURCE Tax Provision and ONESOURCE Income Tax, so data is easily transferred between the applications. Let ONESOURCE help you build, automate, calculate, and forecast the complexities of tax reform with our new ONESOURCE International Tax Calculator. TI talks nimbleness and flexibility of ONESOURCE International Tax Calculator. Is your data properly structured to respond to tax reform changes? With tax reform in the U.S. now a reality, corporate tax departments have a unique opportunity to showcase their value. Let Thomson Reuters ONESOURCE support your tax department amid these significant changes to the tax code, with technology that allows you to model and scenario plan around the impact on the overall annual effective tax rate, calculate U.S. taxes on international operations, and prepare for state tax implications. Consider an upgrade to the latest version of your ONESOURCE Tax Provision application to take advantage of all the features that will help you prepare for the rippling effects of tax reform. If you haven't yet made an investment in tax technology, now may be the perfect time. Discover the tools that help you quickly leverage your tax data for your quarterly and annual provisions. "I think the ability to create a tool that is malleable yet accommodates the complexity in the rules is very impressive." "With the level of complexity of tax reform, we couldn't fathom doing year-end provisions in Excel®." "ONESOURCE structures data in such an accessible way that we have confidence in the ability to plan and forecast around tax reform changes." "ONESOURCE was proactive and provided guidance around best practices of isolating the impact from the rate changes." 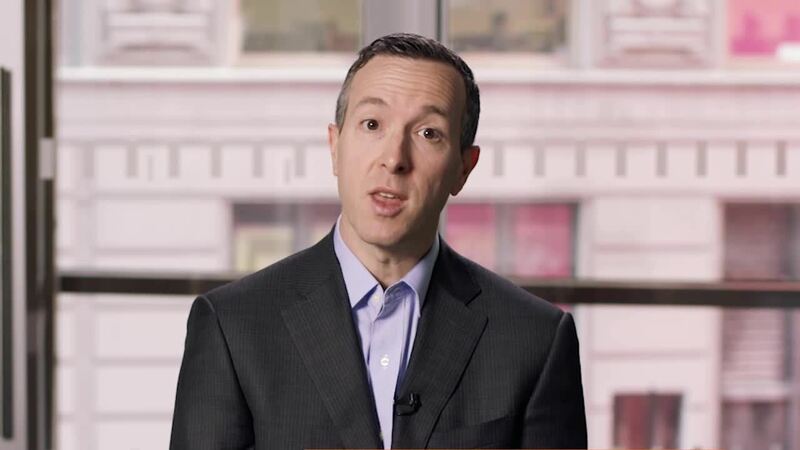 What Does TCJA Mean for Transfer Pricing Departments? The new provisions of TCJA address certain features of the debate over base erosion and profit shifting but do so in rather unique ways, including significant changes to international tax rules affecting most multinational enterprises. For many organizations, this results in the adjustment of global tax strategies, particularly when it comes transfer pricing arrangements. “Wait and see” is not an option as transfer pricing departments are required to take their positions in the face of all this change. To learn more about how TCJA directly impacts transfer pricing departments, download our whitepaper: Understanding the Implications of TCJA on Transfer Pricing. BEAT, GILTI, FDII – the tax world is now familiar with the new international tax provisions of TCJA. But what are the implications of these new provisions on the direct tax and transfer pricing practitioner? And what does your team need to do now to make sure you’re compliant in the face of ongoing change? Join our panel of experts as they discuss these important new provisions and offer their take on what comes next for the tax practitioner and international taxes. For your corporate tax department to showcase your value, you need fast, reliable, and up-to-date answers to questions about the latest tax code changes and an understanding of how those changes impact your company. You also need to know just what steps to take next. Get the expert insights you need quickly and easily with Thomson Reuters Checkpoint corporate tax research, guidance, and learning solutions. See federal, state, local, and U.S. international tax implications all within a tax topic, and much more, with Thomson Reuters Checkpoint Catalyst. Learn about all the business tax changes as a result of the passing of the tax bill. Questions around the rate changes from tax reform? Check out Article 59865 in Customer Center. Checkpoint Learning offers courses to get you up to speed on what you need to know about the TCJA. Just having Tax Provision and Workflow Manager to help us organize all the data was priceless. I don’t know how we would have gotten through all of that manually in Excel.